Hello, my name is Jone and I am a horse riding instructor at Centro Ecuestre Las Maravillas, beautifully situated between the mountains and the sea. The riding school has 7 horses and 1 pony. The place is very homely, in a beautiful town called La Herradura in Granada. I have many children who come to learn to ride horses including pony club every Saturday morning. I teach hipoterapia which is a therapy through horses for children with special needs whether physical or mental. It is a very emotional site to come and see the therapy in action and it has such positive effects on the lives of the children. But to carry forward all this alone and with a young child of my own is difficult so I am looking for help. I can provide room and board in exchange for interested volunteers to help with the tasks of the stables, learn to ride horses , do therapy with children and experiencing sensations that I'm sure they have never had before. 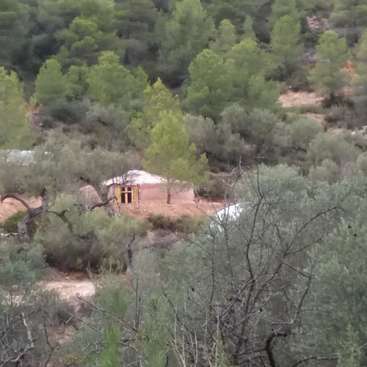 There is a small basic house on site with two bedrooms, a kitchen, living room and a bathroom and there is also a caravan. The accommodation is basic but quaint, there is an open fire and cooking facilities a small electricity supply and water for washing. I do not live at the stables myself, but in Nerja, which is a short drive away. You have to be prepared to work hard hard: feeding the horses twice a day, making sure that all the horses are all right, helping with clients which can be novice tourists, children and so on, maintenance of the stables, cleaning - YOU HAVE TO LOVE HORSES! It is not a free holiday and you have to be flexible, but there will be time for yourself in the middle of the day and in the evenings. I give 20 euros for food every week. There is also plenty of opportunity for riding at whatever level you are at. At times you will be expected to take sole charge of the stables and horses, although never with clients. Mostly we have more than one person staying but sometimes you may be on your own so with these points in mind I need people who are responsible, mature and self motivated. This is ideally suited to people with some experience of horses although if you are looking for a longer term situation if you are keen to learn and enjoy being around horses then it is not essential. We also have chickens and an organic allotment where you can enjoy the fruit and vegetables we grow and amazing fresh eggs. There is a small amount of help needed daily with these tasks also. 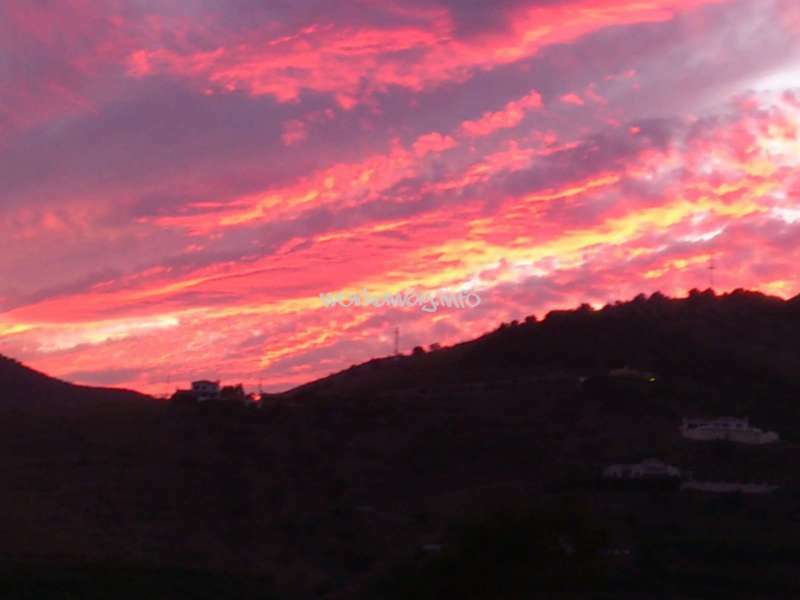 La Herradura is a lovely town full of incredible beaches, mountains, good food, good people and most of the year it's summer, ideal for living and learning the culture and meeting interesting people. The beach and town are a 15 minute walk away. You can also take a bus easily to Malaga or Granada. Hola, mi nombre es Jone y soy profesora de equitación. Tengo una escuela de equitación con 5 caballos y 2 ponis setland. Es una hípica muy familiar en un precioso pueblo llamado Nerja en Malaga. Hay muchos niños que vienen a aprender a montar a caballo. 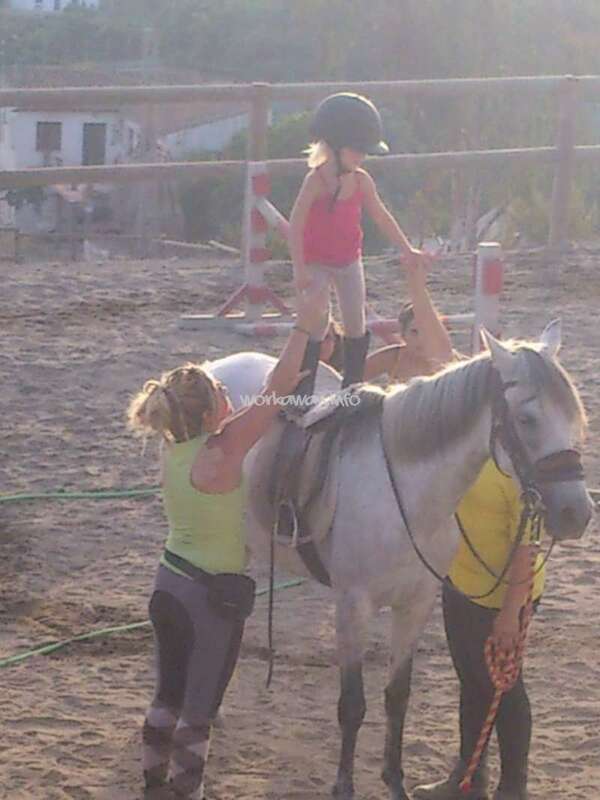 También soy profesora de hipoterapia que es una terapia realizada con caballos para niños con necesidades especiales sean físicas o psíquicas, y vienen a hacer terapia en las cuadras. Es impresionante ver los efectos positivos que tiene la hipoterapia, pero claro llevar hacia adelante todo esto sola y con un hijo de 5 años es tarea difícil. 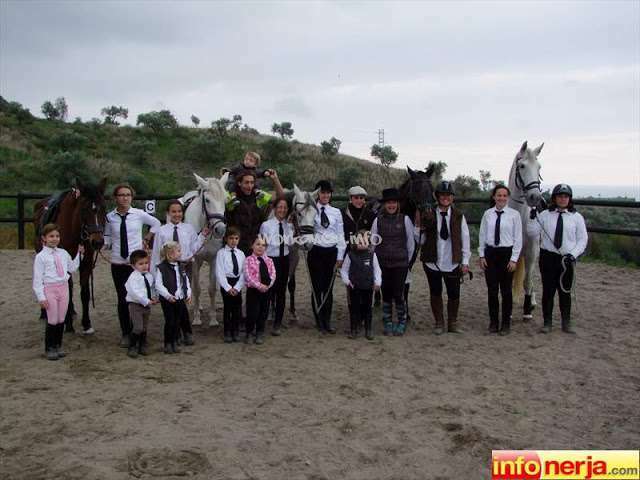 Por ello pienso que puede ser una idea estupenda ofrecer alojamiento y comida a los voluntarios interesados a cambio de ayudarme con las tareas de cuadras, aprender a montar a caballos, hacer terapia con los niños , hacer de canguro cuando sea necesario y experimentar sensaciones que estoy segura nunca han tenido antes. Todo esto es unas cuadras de 7200m cuadrados con oficina bar, baño, pistas, dormitorio y en Nerja un precioso pueblo Malagueño lleno de playas increíbles,montes ,buena comida, buena gente y casi todo el año vivimos en verano. Es ideal para vivir nuevas experiencias y aprender un montón de cosas y de gente interesante. Doy 20 euros para comida todas las semanas. Bonjour, je m'appelle Jone et je suis professeure d'équitation. Je tiens un club hippique avec 5 chevaux et 2 poneys. L'endroit est très chaleureux, dans un joli petit village appelé Nerja a Malaga. Beaucoup d'enfants viennent ici pour apprendre a monter a cheval. Je suis aussi professeure d'équithérapie, qui est une thérapie réalisée avec des chevaux pour les enfants avec des besoins physiques ou mentaux particuliers et qui viennent a l'écurie. Les effets positifs observés sont impressionnants. Mai c'est assez difficile de gerer tout ca avec un garçon de 5 ans, j'ai donc pensé que ce pourrait être une très bonne idée de proposer le logement et la nourriture aux volontaires intéressés en échange d'un peu d'aide a l'écurie, apprendre a monter a cheval, faire de l'équithérapie avec les enfants, et vivre une expérience qu'ils n'ont, j'en suis sûre, jamais vécu auparavant. tout ca sur une surface de 7200m2, avec un bar, une salle de bain et une caravane. Nerja est un village superbe avec des kilomètres de plage, des montagnes, de la bonne nourriture, des gens supers, ou c'est l'été presque toute l'année, idéal pour vivre de nouvelles expériences, apprendre de nouvelles choses et rencontrer des gens tres interessants. ce ne sont cependant pas des vacances, le travail est difficile , nourrir les chevaux 2 fois par jour, vous assurer que les chevaux vont bien, aider les clients qui peuvent être débutants, les enfants, nettoyer les écuries et les garder propres. Mais avant tout, vous devez aimer les chevaux. Il faut être flexible sur les horaires, mais vous aurez du temps pour aller a la plage dans la journée. je ne vis pas a l'écurie mais dans la ville. il y a une cuisine a l'écurie, et je donne 20 euros par semaine pour la nourriture. le supermarché est a environ 30min a vélo, et je peux vous y amener en voiture 1 ou 2 fois par semaine. Tareas de cuadras, ayuda en clases de equitación, hipoterapia, aprender a montar a caballo correctamente, ayuda en animales, atención hacia el cliente, ayuda a realizar huerto ecológico, baby siitting y niñera. 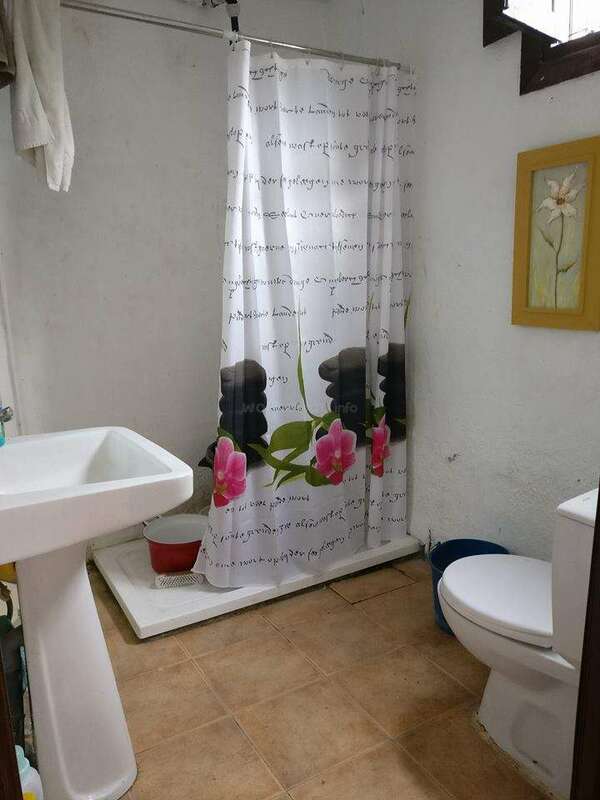 Alojamiento en casa habilitada para dormir y con baños, ducha, dormitorios, cocina, nevera. 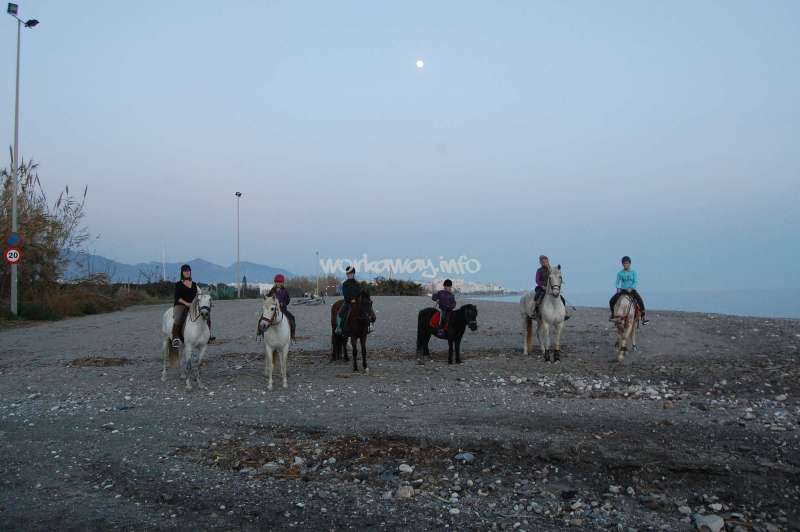 If you are interested in throwing yourself into the world of horses, animals, nature, dogs, learning languages, ​​English, Spanish, meeting new and interesting people in a lovely, sunny town called Nerja, thiS is your travelling spot! Si estais interesados en meteros en mundo de caballo, animales, naturaleza, perros, aprender idiomas como ingles y español, conocer gente nueva e interesante, en un pueblo precioso y soleado llamado Nerja, os esperamos. 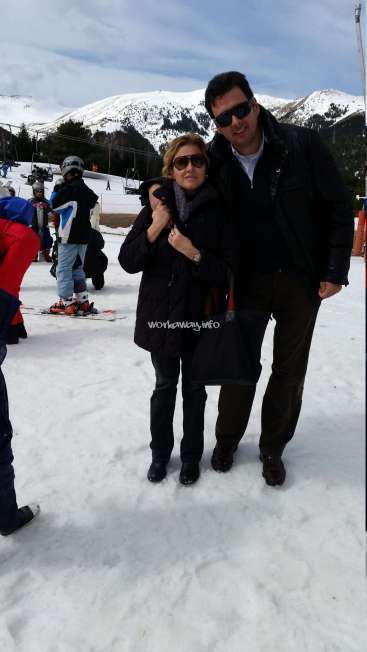 Ha pasado mucho tiempo desde que llegué, y pasé una semana ( o un poco mas) en el establo con Pedro Peter. Jone no estaba allí, pero me encantó y fue muy interesante. Tengo un muy buen recuerdo de eso. Espero que todo esté siempre bien. Muxu bat euskaldunei, izan ongi! This was such a unique experience. Before coming here I had never worked with horses before. It can be intimidating at first, but they are gentle creatures. The job itself is not difficult, although it helps if you are fit . The accomodation is basic, but after travelling for so long, having my own room was a delight. This is not a job that would… read more suit people who are not flexible and willing to challenge themselves. It is not a free holiday. Jone the host is thunder ! A force of nature that cannot (and should not) be stopped. If you work well, she will always reward you. If you work bad, she has no problems in telling you. She has the biggest heart and I have a lot of love for her. Federica was amongst our best workawayers. She is in her forties, so she lots and lots of valuable experience in delivering excellent customer service- And it shows. At the same time she has more energy, stamina and enthusiasm than most 20 y.o., so a very good combo indeed. She had no previous experience working with horses but she tackled all new… read more challenges with a really good, positive attitude. She looked after all animals and customers with passion, professionalism and always keeping a smile. She decided to carry on with her travels so she stayed less than planned, however plenty of notice was given. sheworked hard until the very last day. It's not holidays there, you have to feed horses every morning and night, but during the day, you are free (when there is no client), and the beach is only 15 min by bike! Jone is a hyperactive woman, she really cares about you, you can go to her house whenever you need to. It was my first workaway, and I loved it! Thanks also to Alessandro for the giood times we had at the stables ! I stayed two weeks here. 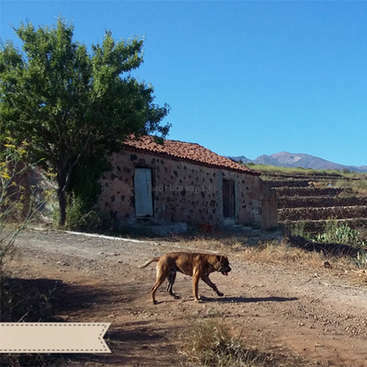 It´s situated at a beautiful spot in the countryside, 30min walk to the sea. The accommodation and living conditions are most basic. Food is provided up to an amount of 25€ per week, no matter how many of you. During those two weeks there was nothing much to do (besides the usual duties of feeding horses and cleaning… read more stables). If you really want to work with horses it´s maybe not the place to choose, since there is not many possibilities for exchange and learning. I was lucky to have excellent company with two other workawayers, thanks to them =)! I really enjoyed my 3 weeks at the stables. I learnt a lot about caring for & preparing horses - Also Nerja is a beautiful, beautiful part of the world- with stunning beaches set against dramatic mountain ranges. Jone is kind, independent, fiery, unpredictable and full of life. I really enjoyed her company when we saw her, and she was very… read more warm to me and the two volunteers I was with. She took us kayaking, to festivals, riding a few times and always made us feel very comfortable in her home (which is a 45 minute walk into town). 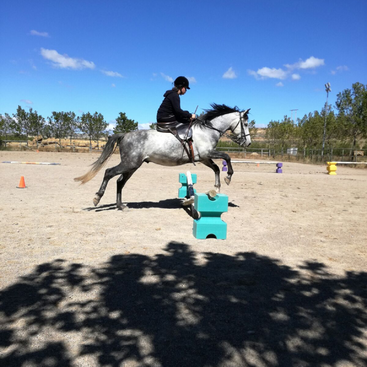 I was surprised that our training was given to us by a leaving volunteer, and felt initially intimidated that I was in charge of 10 horses with another clueless volunteer, but as soon as we got into a rhythm it was fairly easy and the independence was refreshing. To have a good time here you need to enjoy work, like horses, not mind physical exercise and be adaptable. Some days you don't need to do much work.. some days you do! Also you need long sleeves and pants because the flies bite! Thankyou Jone for an invaluable experience! Keep being a legend. 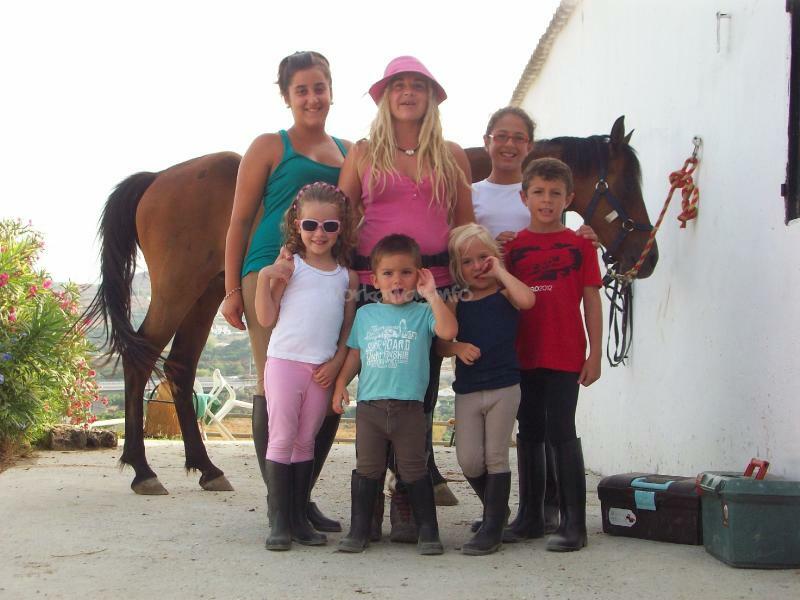 I was in Nerja that summer, I spend 3 weeks with horses, other volunteers and Jone's family. I really enjoyed my workaway ! you have to love horses and riding bike if you want to go to the village :) after 3 weeks, you are in a really good shape ;) Jone doesn't live at the stables but you are always welcome if you go to the center in her house !… read more except the works you have to do with horses, Jone let you free : you can clean or do some stuff at the stables, or visit or what you want. I don't want to insist too much but you really have to love horses (and so fly!!) because you can spend all day at the stables, if there isn't other volunteer, you can feel alone. I really enjoyed my summer in Nerja with Jone (and Smila ;) ) ! Just arrived home from a two and a half week stay here :) overall the experience was positive, but you must be prepared for hard work, flies, sweat, dust and horse poop. You need to be super passionate about horses to survive here, otherwise you're going to have a bad time. 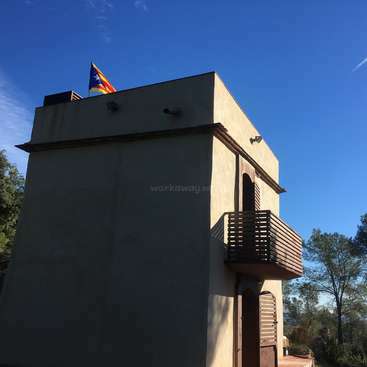 The accommodation consists of a small two bedded caravan near the horses… read more stables, so I would definitely recommend coming here with a friend or two due to the fact that Jone does not live at the stables, and you don't want to be alone in the Spanish mountains at night! The work isn't tough, but the summer heat made it tough for us Irish girls. 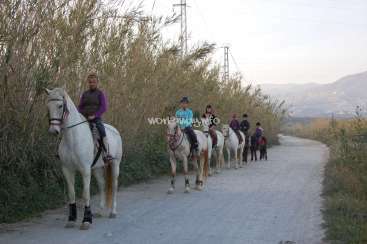 The horse riding is enjoyable, but most of the clients (even those who claim to be experts) are at beginner level, so chances are you won't get to go on any advanced mountain treks/ beach rides unless you organise to go on one with Jone herself. Bear in mind that you will be left with responsibility for 10 horses, so if you don't feel competent in looking after and riding horses on your own, you won't be much help to Jone! If you are planning on coming here in the future, I hope you have an amazing time like we did, but please, PLEASE, be prepared for life in the Spanish mountains. This is no place for playsuits, new sandals or makeup!!! First of all, thanks for a very nice stay Jone! Living in very calm surroundings together with the horses, what a peaceful summer holiday! Repairing and inventing new stuff, always loads of creativity needed but always with a lot of freedom. Playa, cicling (because otherwise… read more you won't reach the beach ;) ) and a picturesque andalucian town. Jone is a superwoman with loads of energy that she's splitting up between her son, the stables and what comes along with all of this. Sometimes you got to be running to keep up with her, but although we had some discussions, my impression was that she always had an open ear and was always giving her best. I volunteered with Jone beginning this week - unfortunately, for health reasons I had to return only a few days after arriving. While this isn't a long enough period to give valuable feedback on the actual work, I can certainly attest to Jone as a person and a host. Throughout the entire process she showed me nothing but kindness; the lady has a… read more heart of gold and the patience of a saint, never stops giving no matter what. Her family, including humans, gods and horses, were also wonderful. I can thoroughly recommend this workaway to anyone willing (and able!) to help an amazing woman with an amazing project.